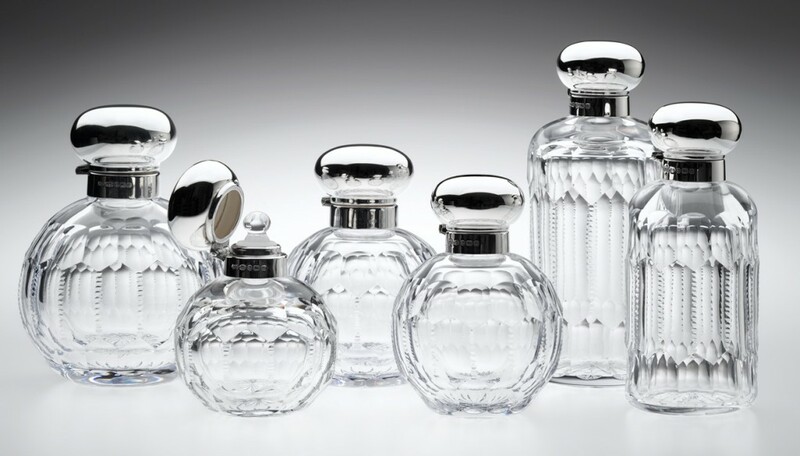 Here at Silver Tree Crystal we are very proud of our long history of specialising in producing beautiful handmade crystal scent bottles that capture the essence of their intended content. Made bespoke to order each is designed to be refilled again and again, and to be cherished for a lifetime. All glass is made to order by hand. Depending on the size of your order and our capacity at that time, you can expect to take delivery typically 2 to 8 weeks thereafter – we will of course provide a more accurate timeframe when you order. 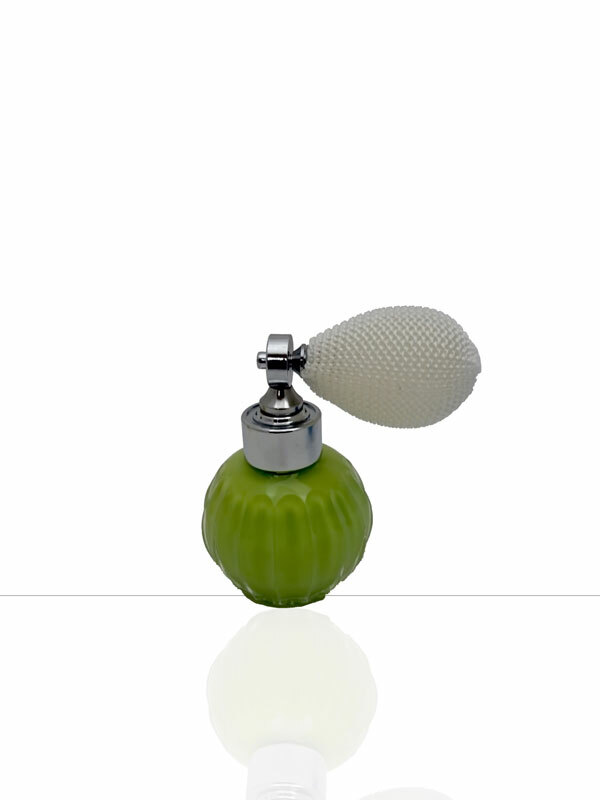 Lime Green, cut with our delicate flute design and finished with a short atomiser. 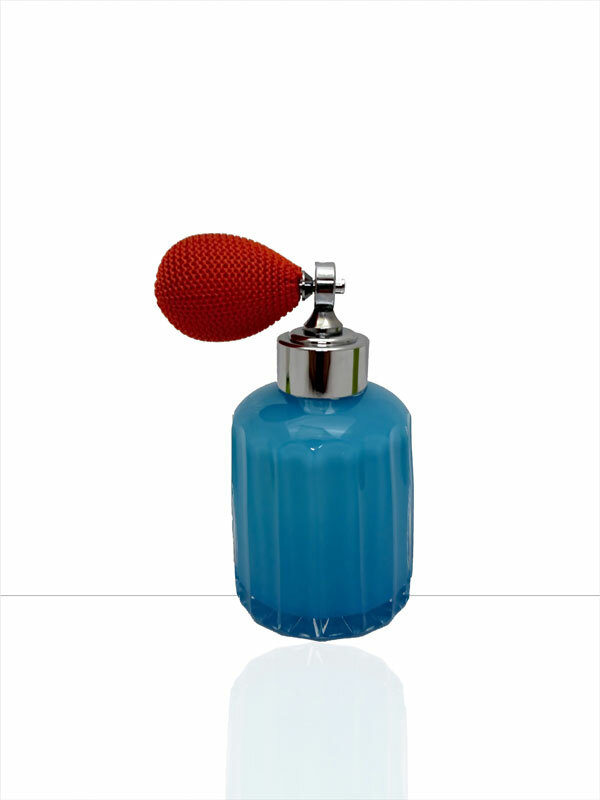 Dia 6cm by H 11cm – Volume 60ml approx. Azure Blue, cut with our flute design and finished with a short Atomiser. Canary Yellow, cut with our flute design and finished with a short Atomiser. 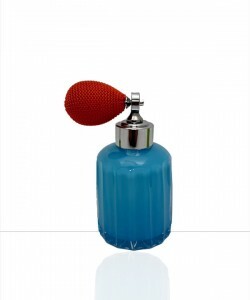 Dia 5cm by H 70cm – Volume 25ml approx. Lime Green, cut with our flute design and finished with a short Atomiser. Clear and colour crystal combined, cut in Honeycomb and finished with an Engineered Silver Top. 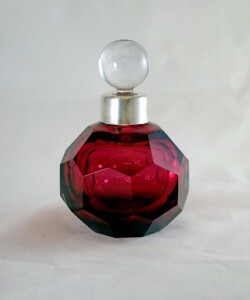 Dia 8cm by H 12cm – Volume 100ml approx. Steel Blue and Black crystal, cut with Honeycomb design and finished with a Long Tailed Atomiser. Dia 6cm by H 14cm – Volume 120ml approx. 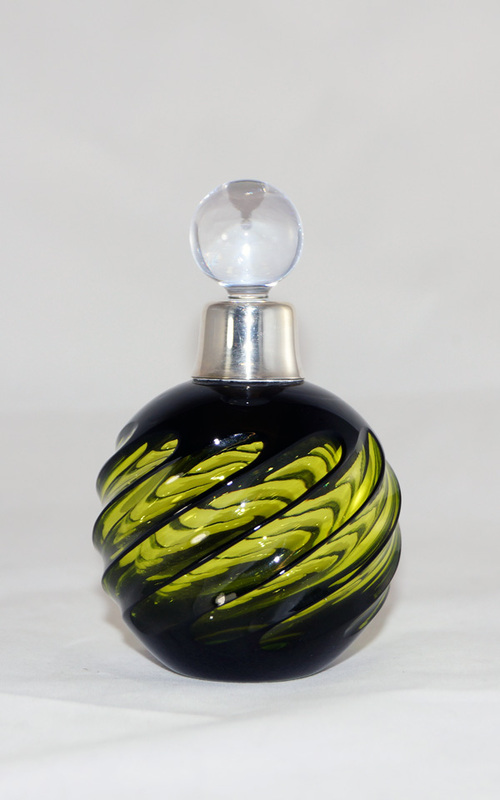 Lime Green with Black crystal combined, cut with a Swirl design finished with a Silver Plated Collar and a Hand Ground Stopper. Hobnail cut with Opaque Purple crystal, finished with a short Atomiser. Hobnail cut with Robin Egg Blue crystal, finished with a Long Tailed Atomiser. 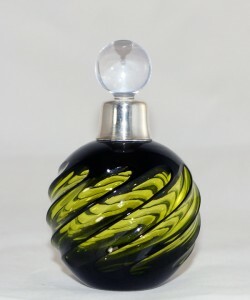 Black crystal with our Swirl design, finished with a short Atomiser. 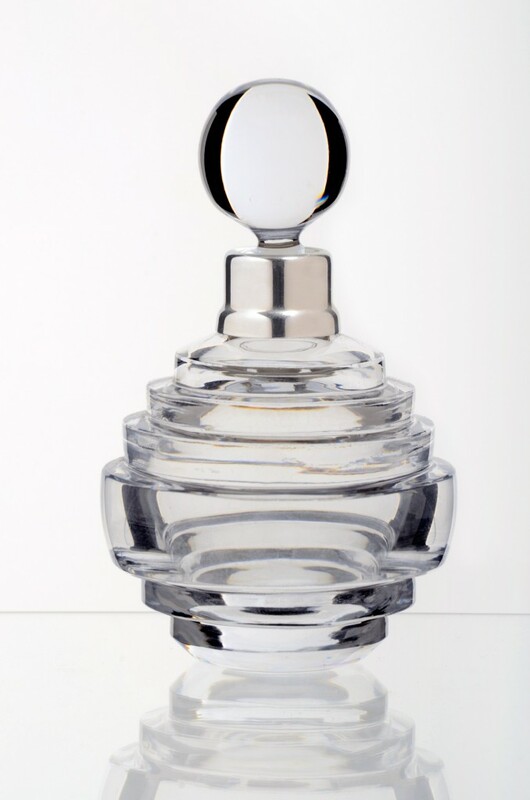 Dia 7cm by H 9cm – Volume 80ml approx. 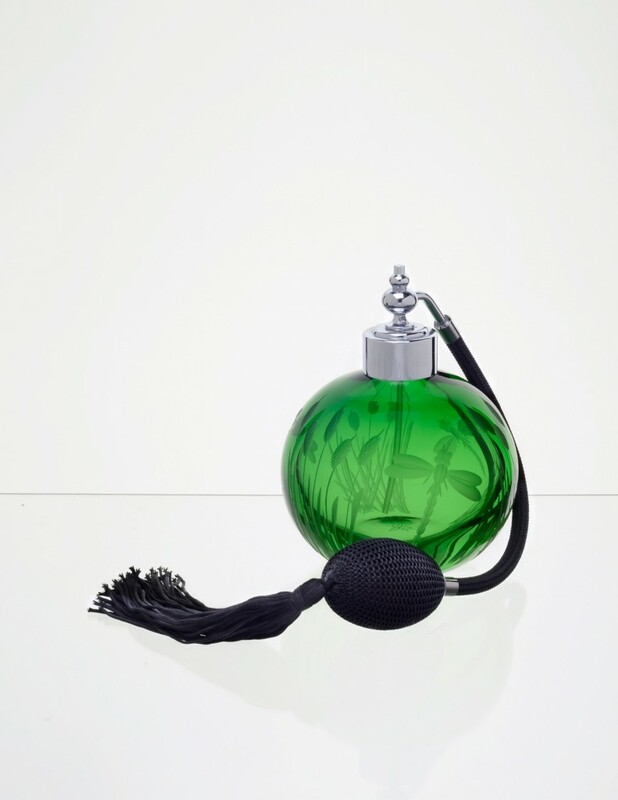 Spring Green with our Dragonfly engraving, finished with a long tail Atomiser. Dia 9cm by H 12cm – Volume 120ml approx. Cerulean Blue with our Dragonfly engraving, finished with a long tail Atomiser. 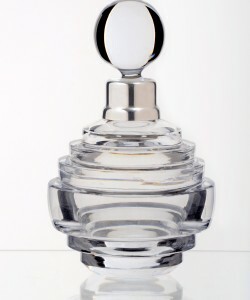 Beehive design cut with Silver Plated Collar and hand ground Crystal Stopper. 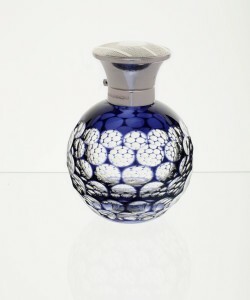 Dia 7cm by H 10cm – Volume 70ml approx. 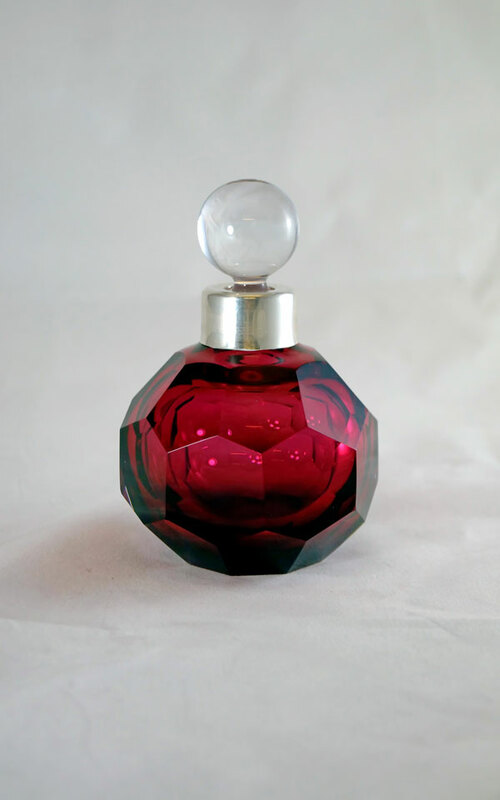 Gold Ruby crystal, faceted cut design, finished with a silver collar and a hand ground Crystal Stopper. Dia 9cm by H 11cm – Volume 100ml approx. 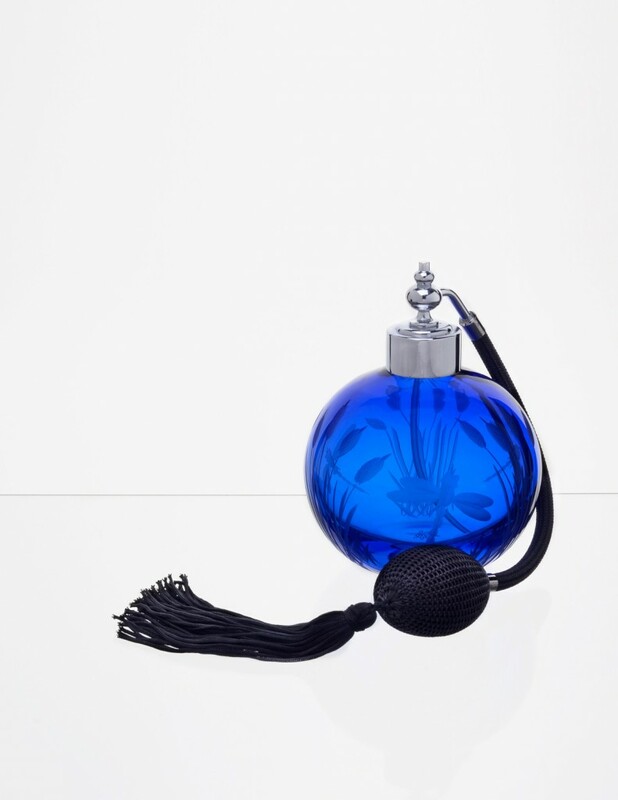 Our Teardrop Perfume Bottle with a Honeycomb cut, finished with a Long Pink Atomiser. 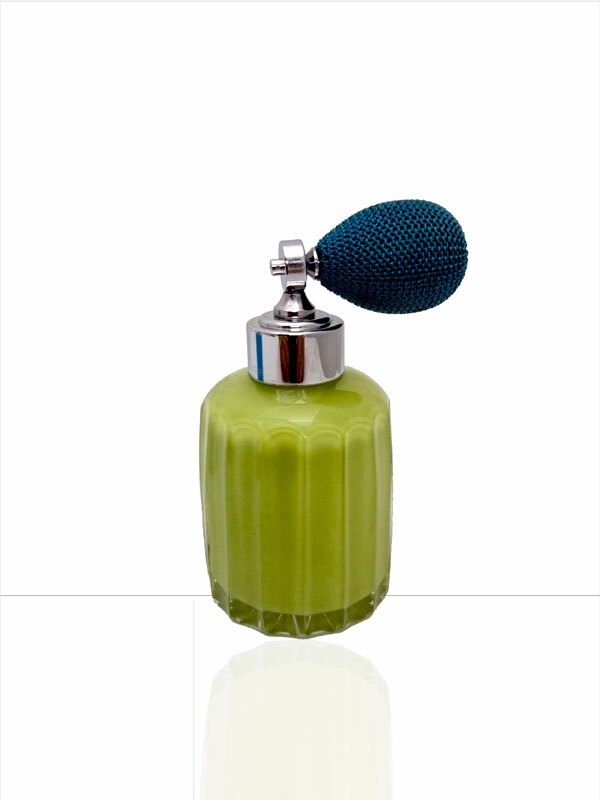 Dia 7cm by H 18cm – Volume 150ml approx. 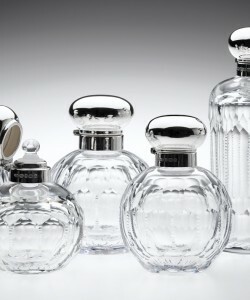 Our Annie cut on a selection of bottles all finished with round silver lids. Please ask for further info. 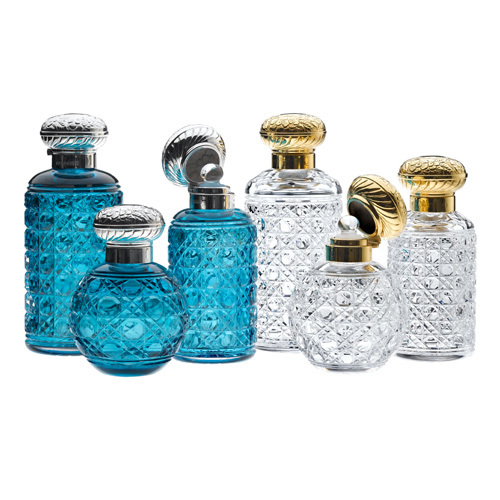 Our Hobnail cut on a selection of bottles all finished with hand scribed round silver & Gold gilt lids. Please ask for further info. 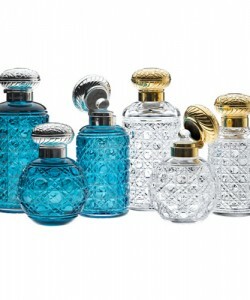 ALL PERFUME BOTTLES SHOWN HERE ARE AVAILABLE IN A WIDE RANGE OF COLOURS. 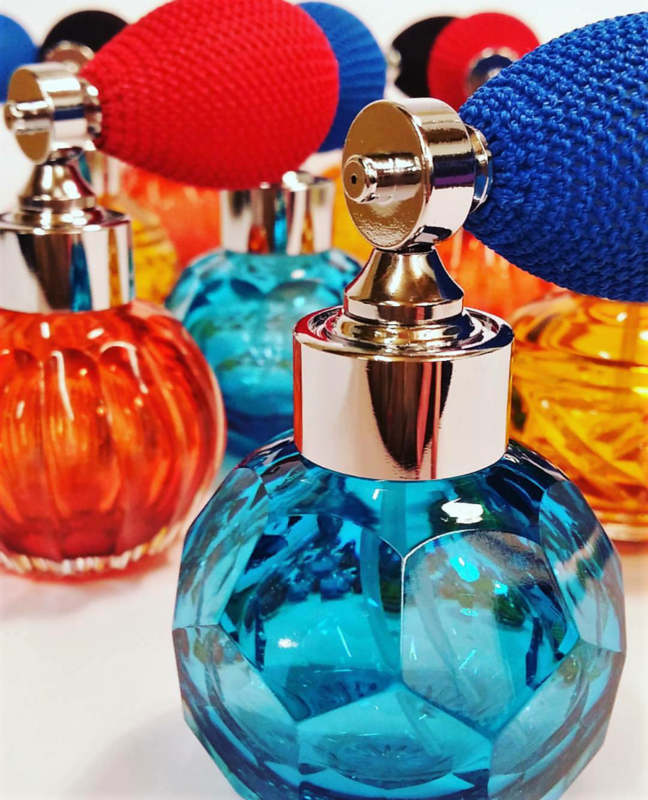 Due to the nature of handmade glass perfume bottles we can’t guarantee against leakage if bottles are transported when full.